MDS is a practice that was based in Sydney NSW. The principle aim of the service is to provide high quality Occupational Therapy (OT) Driving Assessments, driver rehabilitation and vehicle modifications. MDS supplies a wide range of OT interventions, including treatment for people with mobility limitations. Our goal is to provide quality, timely, ethical and professional solutions for our clients, we aim to make this process as smooth as possible, from referral to report completion. 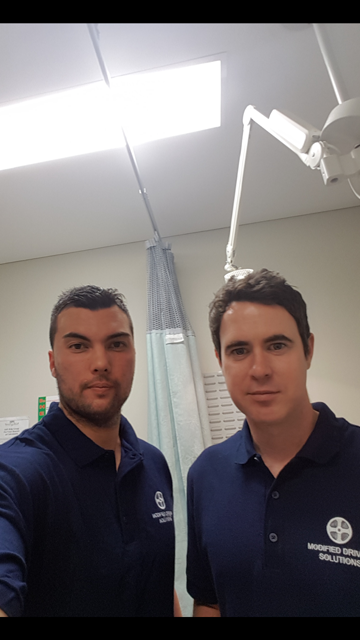 The principal Occupational Therapists, Matthew Ward and Sean McNeary are qualified OT Driving Assessors, and are accredited with OT Australia. Matthew is a registered Occupational Therapist with the Australian Health Practitioners Regulations Agency (AHPRA). Matthew graduated from the University of Western Sydney with a Bachelor of Applied Science (Occupational Therapy). Matthew has extensive experience working with people with both cognitive and physical impairment. Matthew has clinical experience working with young people with mental illness, and has assisted in the development and implementation of Sensory Rooms and physical health programs at Campbelltown Hospital. He also has competencies in sensory integration and Dialectical Behaviour Therapy. He has completed a post graduate course in Driver Trained Occupational Therapist through the University of Sydney. This qualification is recognised domestically and internationally. Matthew has lived and worked in the South West Sydney area all of his life, and has gained a thorough understanding of local community organisations within this district. He strives to provide a quality service to people within his local community by assisting them to maintain their independence. Matthew is also committed to receiving the most relevant and current training and education to ensure the integrity and quality of his practice. Sean has completed a Bachelor of Applied Science (Occupational Therapy) and has completed post graduate training in driver assessments and rehabilitation.